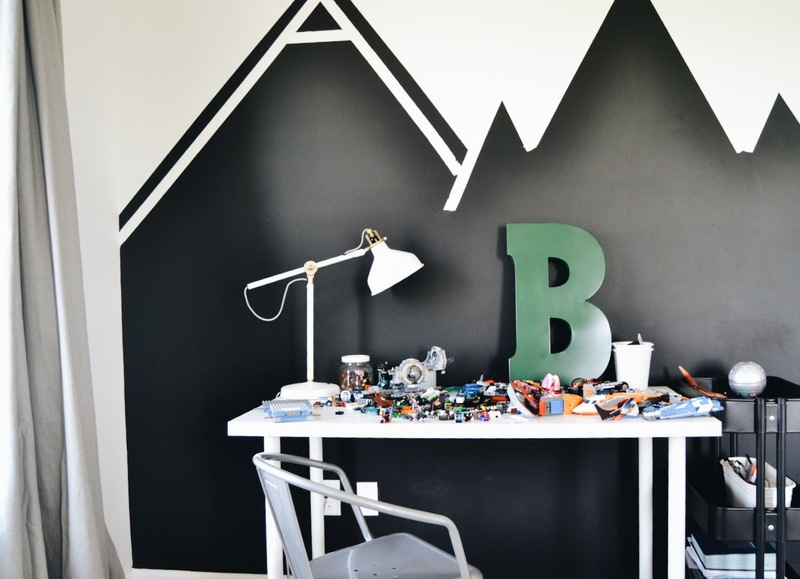 A glimpse of Blake's room. We moved Blake into his own room this summer. With the move ..came new bedding, a lego desk and a wall mural. Blake has shared a room with Callen since he was 2, so he was ready! 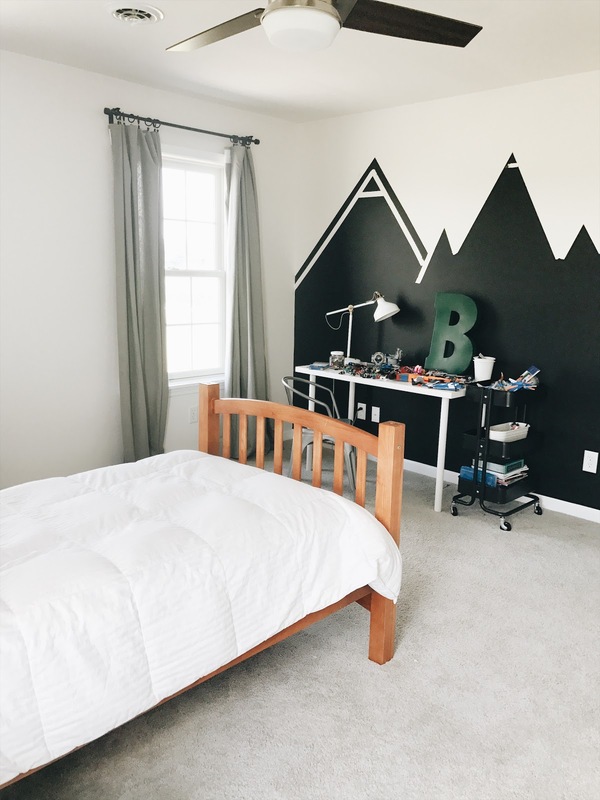 I kept envisioning a wall of mountains in his room. So, I went to Pinterest for some inspo. This is was my favorite. So, I ran with it and put my own spin on it. I began on the left and with tape I marked the first mountain peak. I branched off from the first mountain peak and continued working left to right. Then, I filled it all in with chalkboard paint and after a couple coats it was done! Blake is happy with it! He really likes his own space. Hey there! I'm Lauren Wagner and my company consists of my hubby and our three little boys Blake, Callen & Nash. I love to take lots of pictures of my boys, home decor & projects in our new home. Love coffee way too much and enjoy a good dance party with those cute boys of mine. So happy you are here!